Illogic and Blockhead are releasing After Capture on 12/17 via http://illogic.bandcamp.com/. 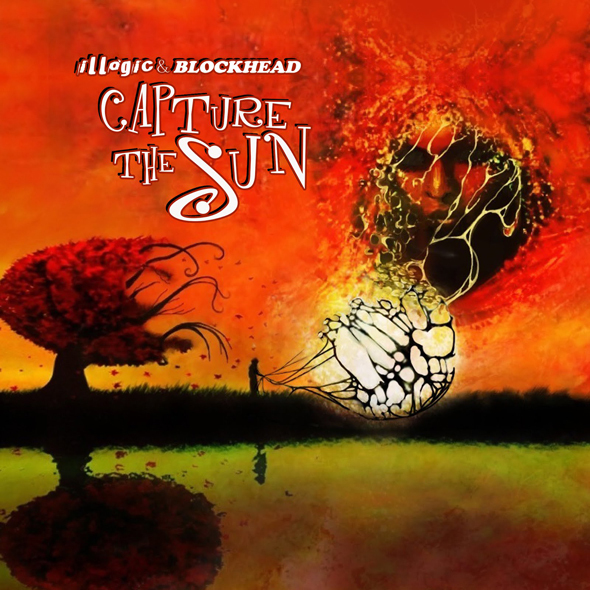 Illogic & Blockhead released a new album called Capture the Sun on Man Bites Dog records earlier this month. Illogic and Blockhead had a release party for their new album “Capture the Sun” at the Bi-Monthly Hip Hop Showcase Buggin’ Out at the Carabar. Above is a video of the show. 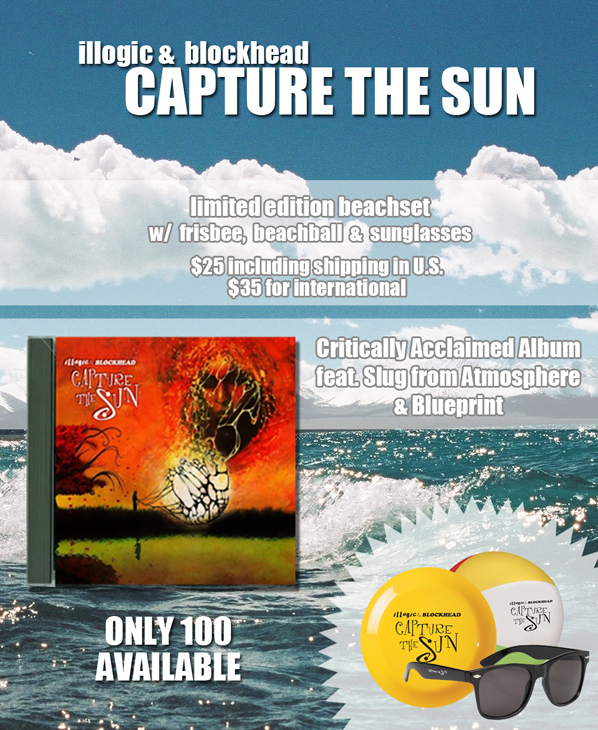 Illogic & Blockhead, in conjunction with Man Bites Dog Records, are excited to offer fans an exciting “Get Ready For Summer” Capture The Sun bundle that, in addition to a physical copy of the album, comes with a Capture The Sun-themed beach ball, frisbee, and pair of sunglasses. The bundle costs just $25, including shipping ($35 for international orders). After the jump watch Part 3 of Journey to the Capture. Illogic & Blockhead have an album coming out on Man Bites Dog Records called Capture the Sun on April 16th. Here is a remix by Columbus ex-pat RJD2. Blueprint put this video together of Illogic and Blockhead discussing their early Hip Hop upbringings. Illogic & Blockhead’s “Capture the Sun” will be released April 16th on TK/Man Bites Dog Records. Illogic and Blockhead have a full-length coming out on TK/ Man Bites Dog Records called Capture the Sun. The above H. Rockwell clip features Slug from Atmosphere. Other guests on the album include Blueprint, Abstract Rude and more. “Capture the Sun” will Be Released April 16th.